Bloomberg – More Dictatorship – When Will It End? 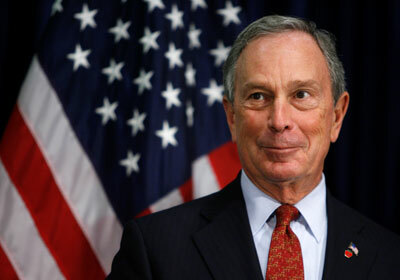 New York Mayor Michael Bloomberg is hell-bent on dictating to people what they can and cannot do. He has the guts to stand before an American flag and utter nonsense. He is banning large sugary drinks that takes effect on March 12th, 2013. This insanity demonstrates how bad things have become. The pizza deliverymen will be prohibited by LAW from delivering 2-liter bottles of soda assuming one person will drink the whole thing. Guess Bloomberg just sits at home and figures out what next can he do. He never heard of a gathering call a “party” outside of politics? For someone who came from the market-manipulating house of Solomon Brothers that tried to rig the US Treasury Auctions no less, you would think he knew something about celebrating after you just screwed everyone? No Bloomberg’s City Department of Health and its intrusive position will now go crazy prosecuting people who have big drinks. The ban covers restaurants, bars and all food service establishments. How about regulating stuff that really matters to everyone – stop the growth in government employees and reduce taxes? Can I buy a 2-liter ZERO Coke? Bet ALL 2-liters vanish in NYC sugar or not. Bloomberg’s staff will be unable to read and just won’t get it. A TRUE story is the terrorists were denied toothpaste right there in New York pending trial. The government employees read the contents and saw the stuff contained glycerine (glycerol) which is a colorless, odorless, viscous liquid that is widely used for its solubility in water and its hygroscopic nature that is also sweet-tasting and of low toxicity. The government employees actually argued in court that the terrorists could extract the glycerine and make a bomb to escape prison. They associated this with Nitroglycerin (NG), or commonly called nitro, which is a heavy, colorless, oily, explosive liquid most commonly produced by treating glycerol with white fuming nitric acid under special lab conditions. They failed to explain how they could extract the glycerine from toothpaste, and use nitric acid from wherever to create a bomb from a jail cell. This was absurd and shows that a little bit of knowledge is dangerous. God help the food industry in New York. My bet, they get fined for a 2-liter jug of anything. What about pre-sweetened ice tea. Surly the inspector’s head will turn fully around trying to figure that one out. They hire BELOW average people who can only follow rules with no original thoughts. They will read the code and ban all 2-liter bottles for they will be unable to read the contents and figure out what is sugar or not. They will read a can of ZERO Coke, scream if they can read “Phosphoric Acid” and call the bomb squad.